Anthony started in the UK music business in the early 90’s as Pete Tong’s A&R scout at London Records, specialising in indie/alternative rock before running his own management company. 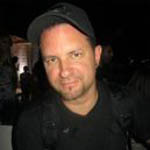 He then moved to Taste Media to work with Muse among others, overseeing day to day band management and the label’s domestic and international management. After many successful years at Taste, Anthony was tapped by expanding media group Channelfly/Mama Group to set up and run their label Channelfy Recordings and new start-up Best Before Records, signing such acts as The Morning After Girls, Johnny Foreigner and Dananananaykroyd. He took controlling interest of the labels in 2011 signing acts such as 22 (Norway), Sharks, The Chapman Family, Mutiny On The Bounty (Lux) and most recently British Alt/Metallers ACODA.